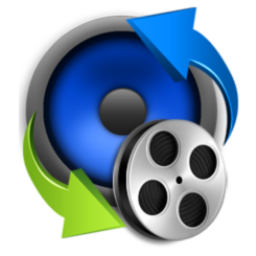 Stellar Audio Video Converter 2.0.0.0 Portable ~ Apps2Portable | Free Portable Apps for PC ! Stellar Audio Video Converter is a comprehensive solution to all problems related to audio-video file conversion on Windows. The software transforms your audios & videos to specific files that can be played on a range of programs and devices. The software has been designed with special algorithms that not only facilitate speedy conversion between media files, but also adds scope of video editing. Besides performing audio/video conversion, the software easily rips Audio CDs to extract specific audio tracks from the optical disc. With Stellar Audio Video Converter, you can convert your audio and video files without compromising the original digital media quality. You can simply convert a small video clip or an entire movie into MP3 and play it using your media player. The tool supports all popular video file formats, including MPG, MP4, MKV, FLV, AVI, 3GP, and WMV. Apart from this, you can also polish your video files by various inbuilt video editing tools of the software such as rotate, flip, trim, watermark, color effect, adjust, and crop. You can convert your entire music library to audio files of specific formats playable on several portable audio players. The software can easily transform various common audio formats, such as MP3, WAV, WMA, FLAC, OGG, AAC, and MP4. The audio video converter has a lucid interface and a streamlined approach that helps in minimizing the overall time and effort required for performing conversion. With this professional utility, you can successfully run your media files on a number of incompatible platforms and devices. Stellar Audio Video Converter is an optimized and competent media file migrator, combined with a group of significant features to complete the final conversion in a flawless yet easy way. • Converts various Audio formats to MP3, WAV, AIFF, MP2, M4A etc. • Save the converted media as MP4, MPEG, MOV, MKV, M4V, AVI, 3GP, 3G2 etc.